What You Make, What You Sell: Not the Same Thing! You'll see in our award-winning ads, we focus on benefits, not features. 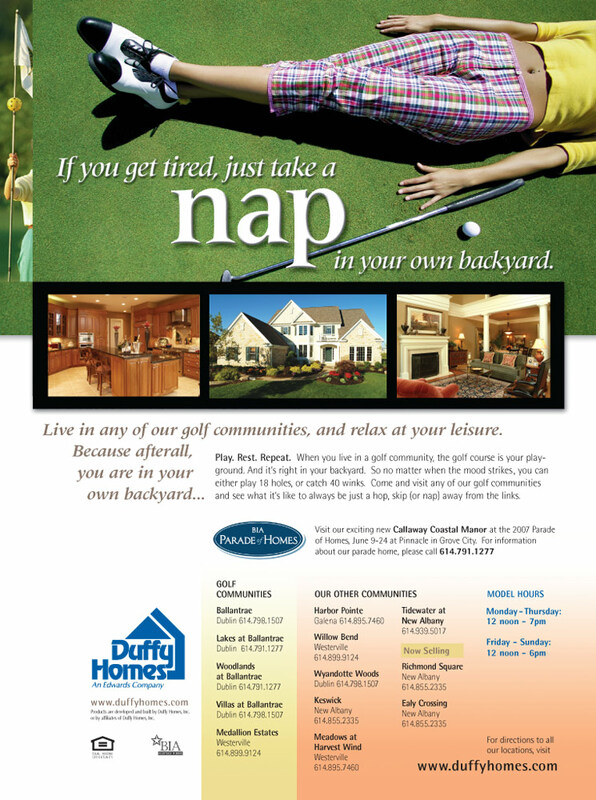 For example, when Duffy Homes wanted to promote their homes on golf courses, we couldn't show a home on a golf course! That would be ridiculous! So we came up with an image that would get attention (which was not a home), not show a golfer in the typical light (since typical is mundane), and have an engaging headline. And when everything works together, maybe even entertain. See our advertising section here. See our home building section here.